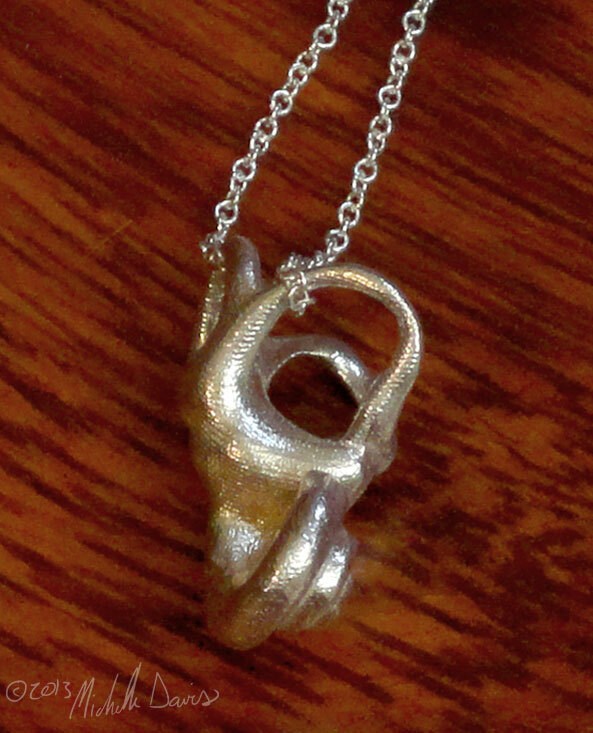 This unique pendant is an anatomically correct model of the inner ear, modeled and 3D printed at actual life-size. The inner ear is a tiny bony apparatus within the skull and is responsible for our sense of balance (the 3 arching semicircular canals) and hearing (the seashell-like cochlea). Anyone in acoustics, audiology or music can appreciate this pendant! Currently available in stainless steel and sterling silver shown below, as well as gold-plated stainless steel. 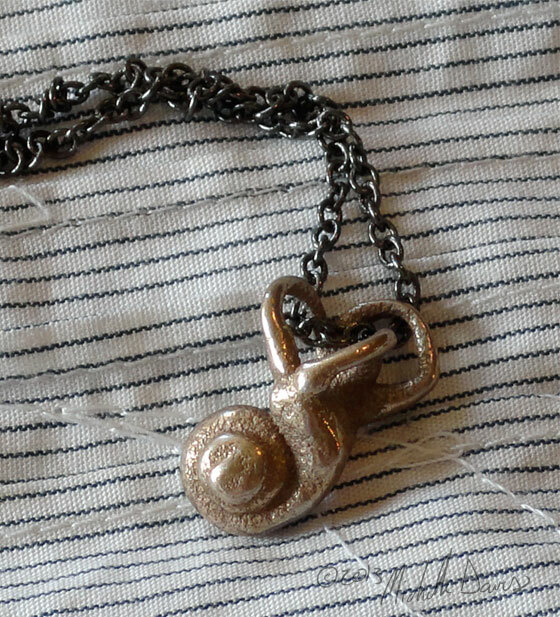 All necklaces come strung on an 18″ chain.